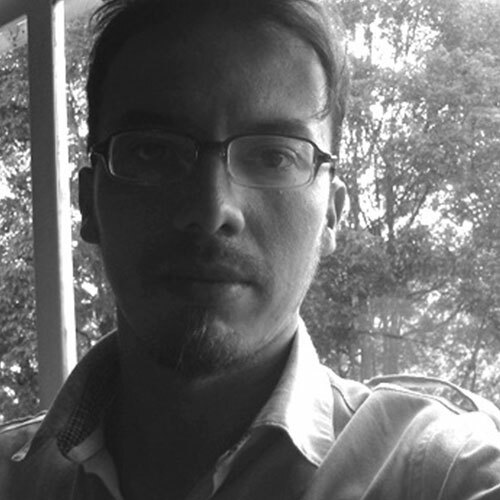 César Heredia Cruz is a scriptwriter and director from Bogotá with an M.F.A. in Creative Writing —with an emphasis in film scriptwriting— from the National University of Colombia. His most noteworthy short films as a director are Rastro (2008), which was screened in several festivals, among them the Moscow Latin American Film Festival, and Elefante (2014), which was screened in multiple festivals, such as the Cartagena Film Festival, the Mar del Plata International Film Festival and the Vancouver Latin American Film Festival, and won the award for best short film at the Colombian Film Festival of Berlin in 2015 and the award for best fiction short film at the La Plata Latin American Film Festival in 2015. César is currently preparing the release of his most recent short film, Lucha, while working on the post-production of his first feature film, Sastre, which will premiere in 2019. Goyo — Gloria, a little girl from the Pacific region, embarks on a journey through the jungle in order to reunite with her father. However, she will discover unknown realities, even a different father from the one she had said goodbye to.